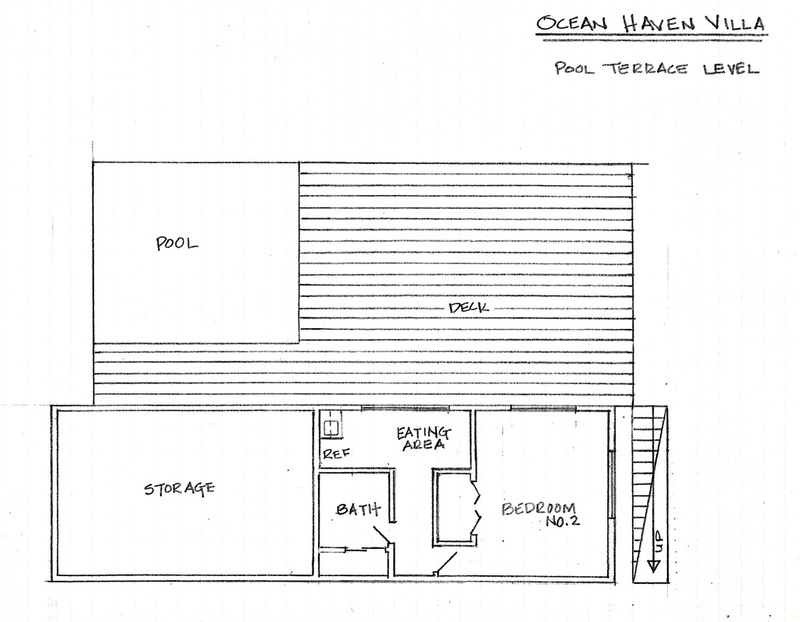 Check out Ocean Haven's picturesque pergola and generous pool deck, as well as exterior views of the villa. 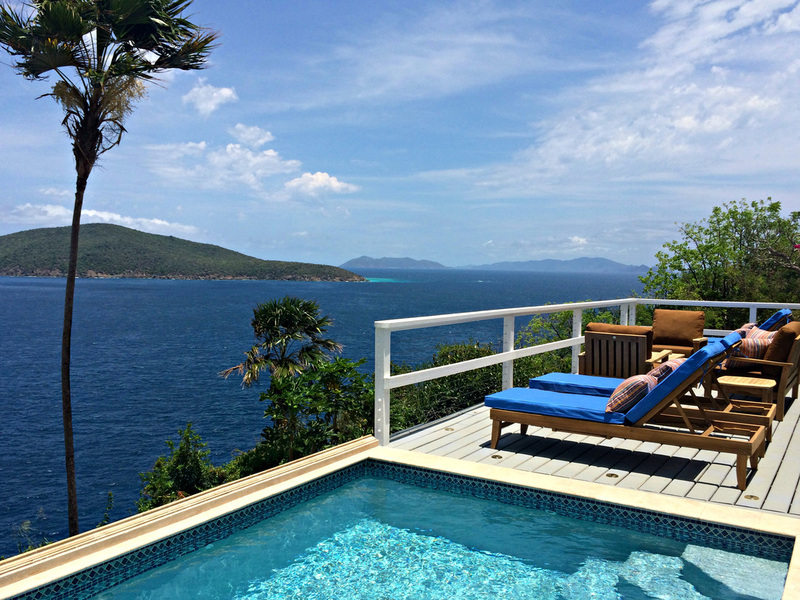 Take a refreshing dip in the pool, sun yourself on a chaise, or enjoy drinks and conversation in our comfortable teak seating area. 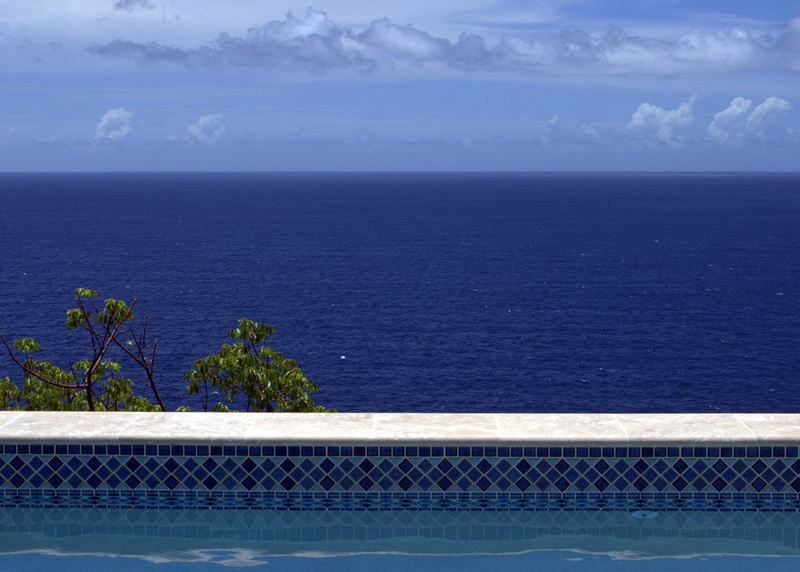 Savor the sea views while lounging in Ocean Haven's private outdoor pool. 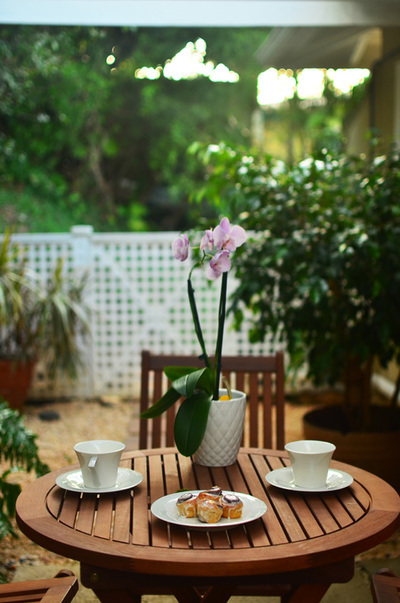 Sip your morning coffee and nibble on cinnamon rolls in the villa's shady entryway. 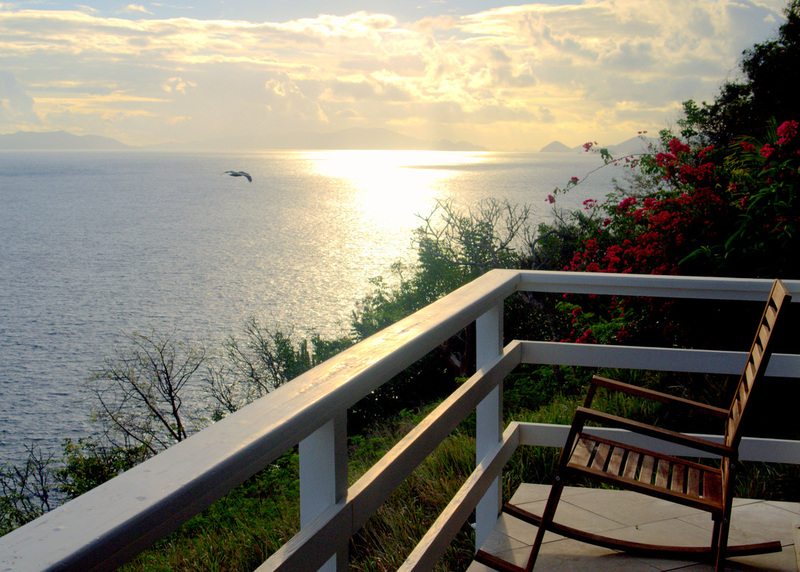 The villa's waterfront perch offers dramatic views of the ocean & nearby isles. The first glimpse of Ocean Haven from Peterborg Road. Relax on the covered pergola to the left, or wander downstairs to the pool terrace. 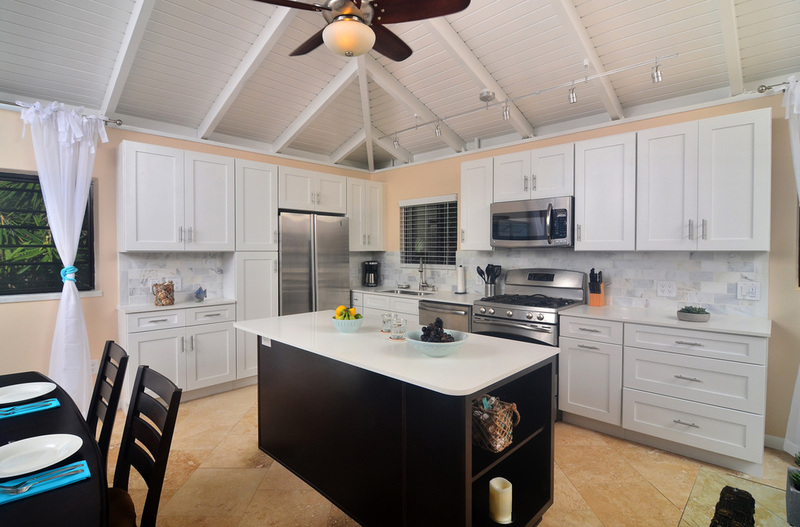 See Ocean Haven's gorgeous open-plan living and dining areas or imagine yourself napping in one of the villa's three luxurious guest rooms. 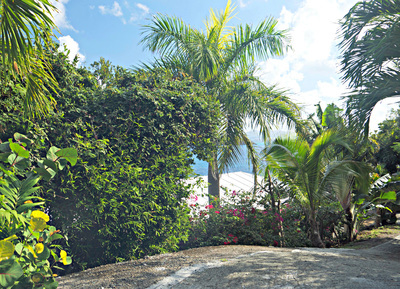 Every room in the villa offers a panoramic view of the Atlantic Ocean, Great Hans Lollik, and the British Virgin Islands. 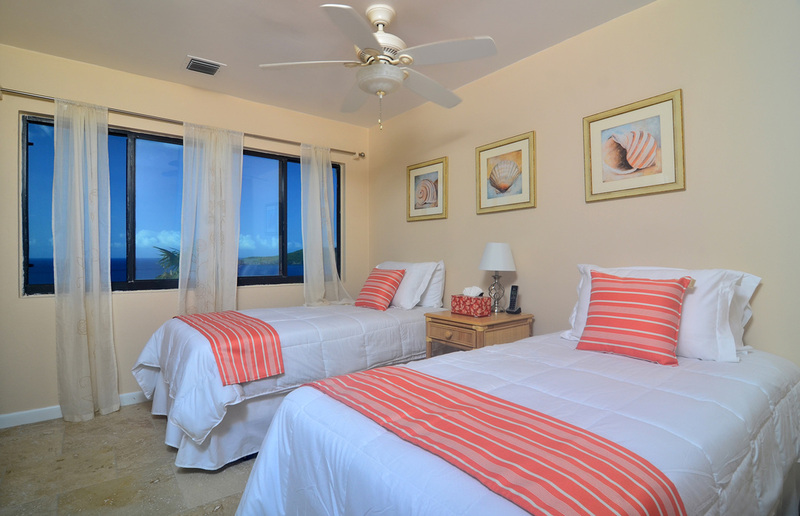 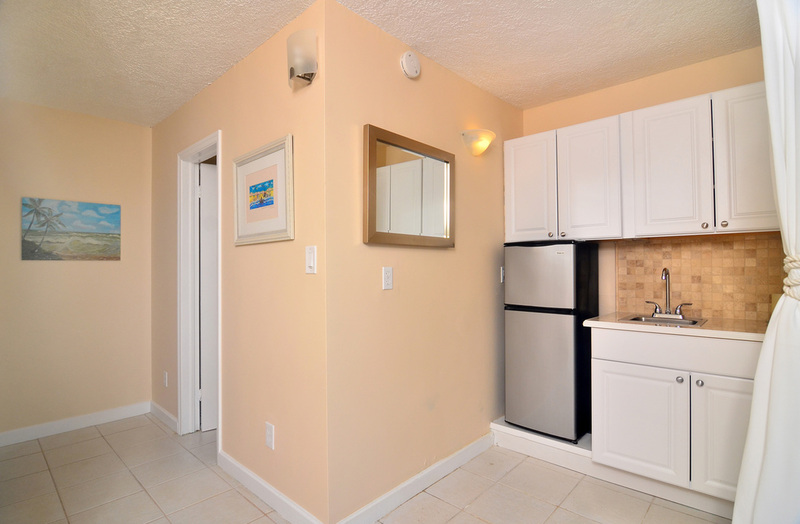 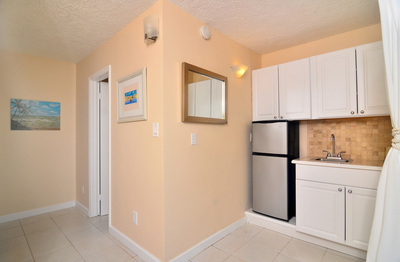 Ocean Haven's luxurious interior features travertine tile, designer furniture, and ample room for six adult guests. 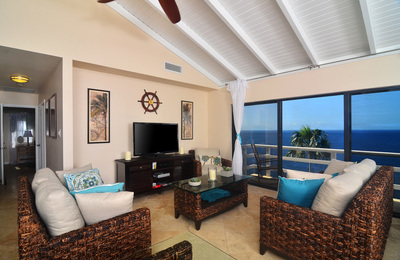 Ocean Haven's spacious living area includes a comfortable sofa, chair, or loveseat -- all perfect places for an afternoon nap. 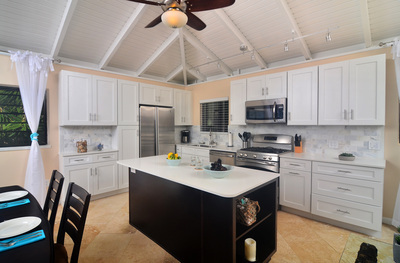 The villa's gourmet kitchen is fully supplied with all of the tools needed to prepare a seaside feast. Along with an unparalleled view of the Atlantic Ocean, our luxurious main floor master suite boasts a king-sized bed, tranquil blue decor and Egyptian cotton bedding. 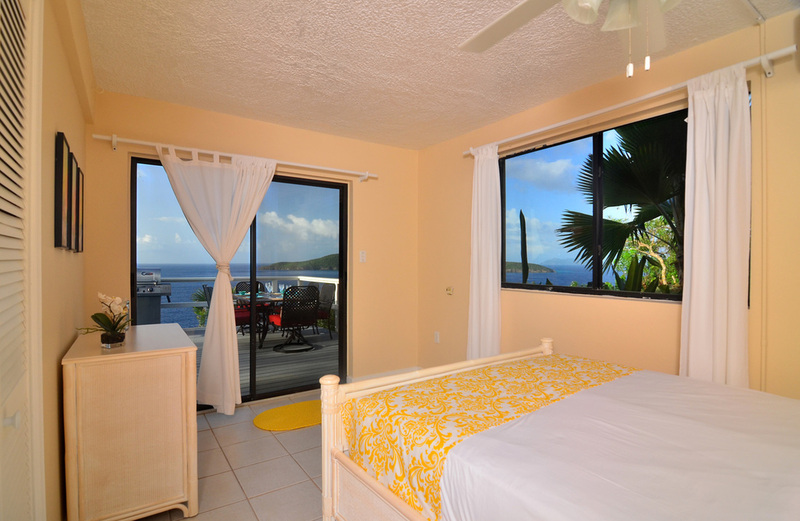 Enjoy a panoramic sea view from the main floor guest suite...and every other room in the villa. Ocean Haven's pool terrace guest suite offers instant access to the villa's sparkling new pool and expansive deck. 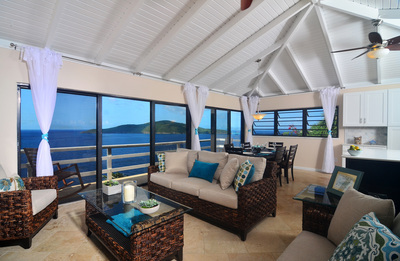 The villa's brand-new wet bar and seating area offer a respite from the brilliant Caribbean sun. 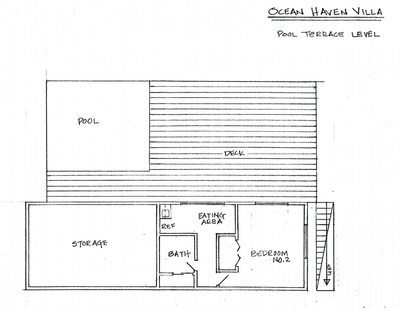 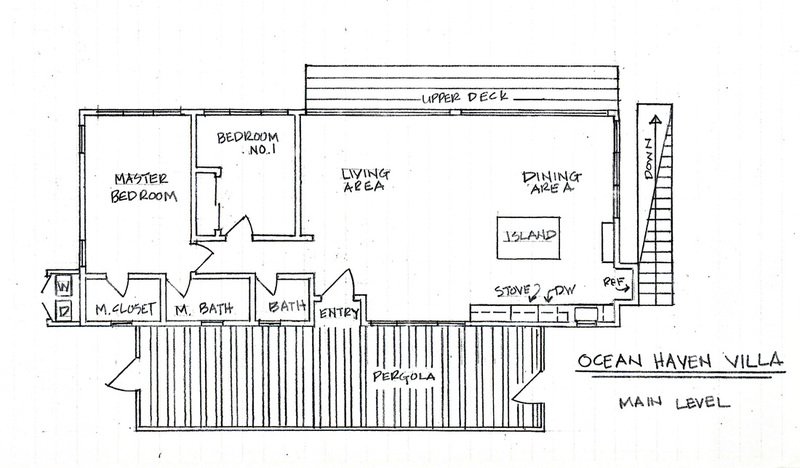 Floor plans of Ocean Haven's main level, including the villa's spacious covered patio and deck overlooking the ocean. 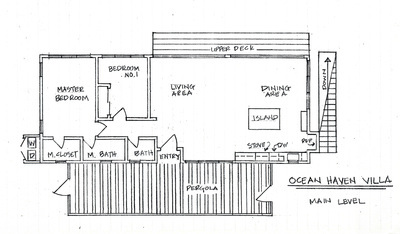 Floor plans of Ocean Haven's expansive pool terrace level, which features panoramic views of the Atlantic Ocean and nearby islands. Browse some of Ocean Haven's spectacular panoramic views. 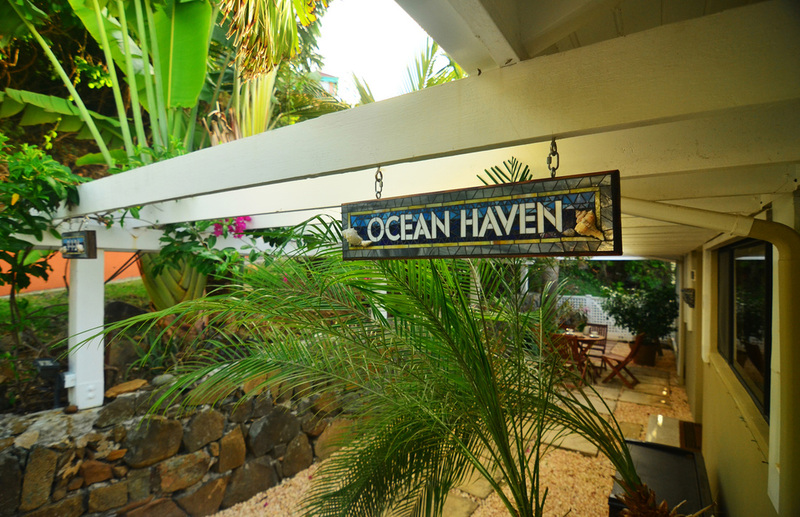 Find yourself at eye level with the soaring pelicans on Ocean Haven's main level deck. Ocean Haven's closest island neighbor is Great Hans Lollik. 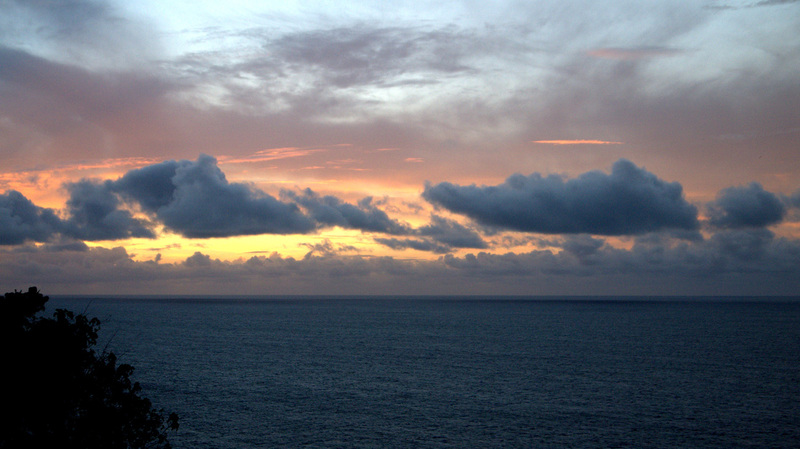 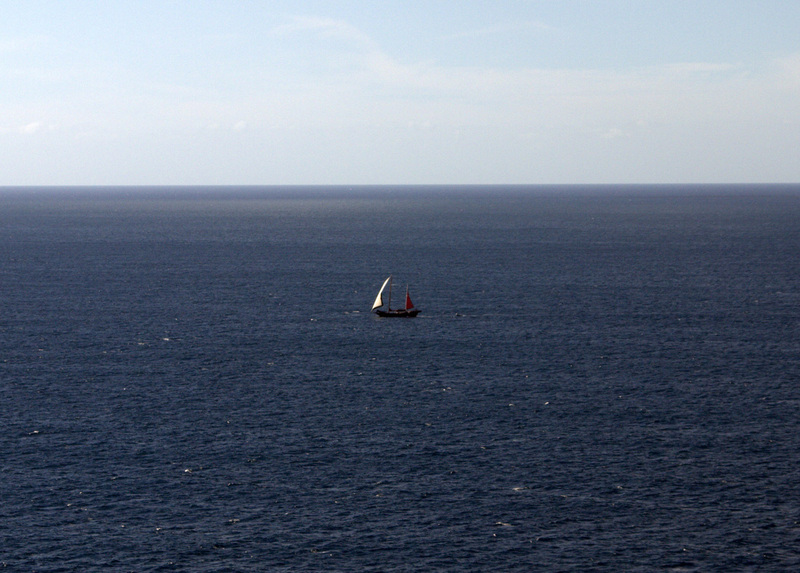 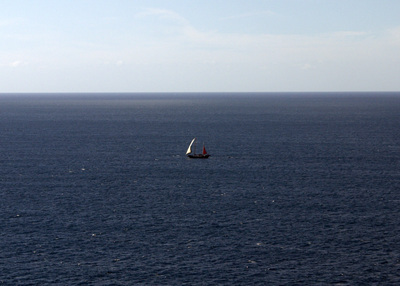 Sailboats regularly glide by Ocean Haven's cliffside perch. 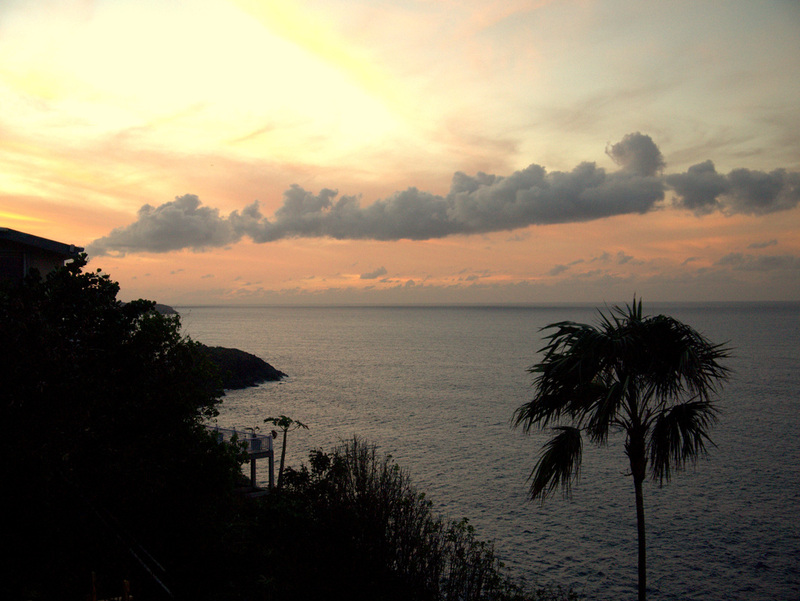 A colorful Caribbean sunset as seen from Ocean Haven's main level deck. 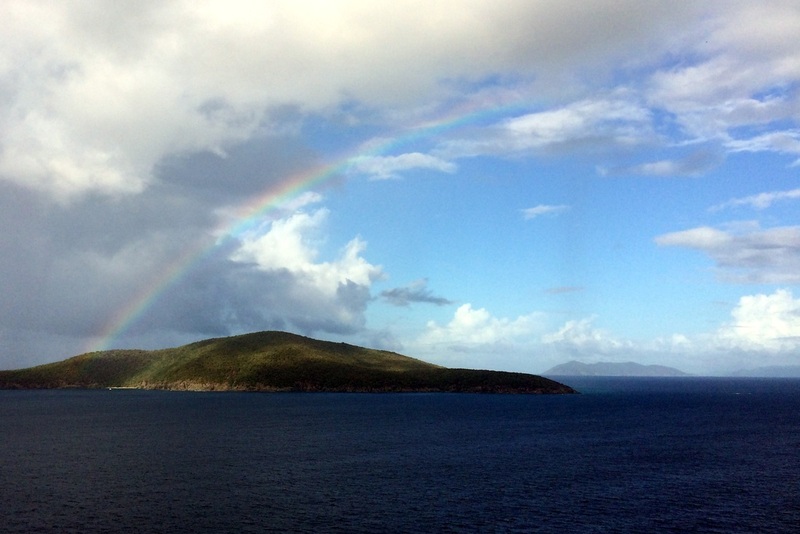 A gorgeous rainbow rises above Great Hans Lollik after a brief tropical rainstorm. 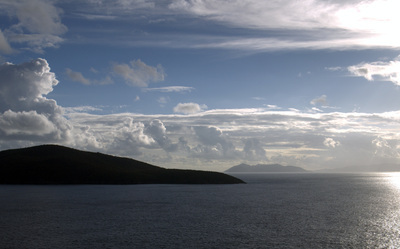 Tortola, one of the British Virgin Islands, is visible in the distance. 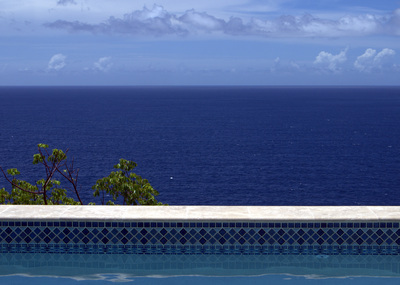 Enjoy unsurpassed views of the ocean while floating in the villa's shimmering pool. 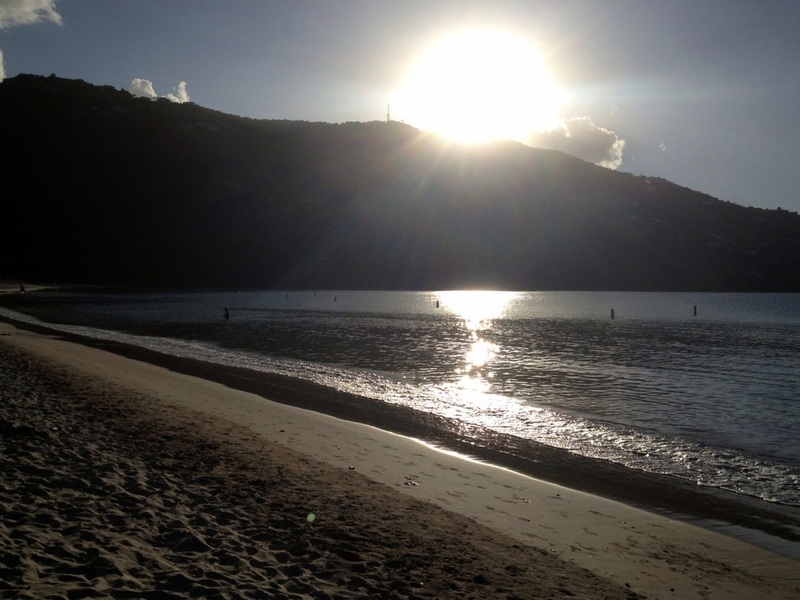 The sun sets on another perfect St. Thomas day. 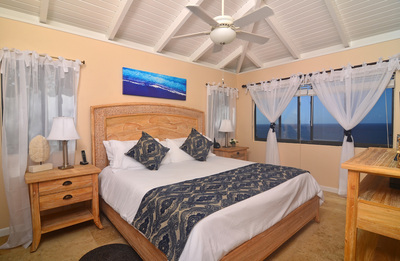 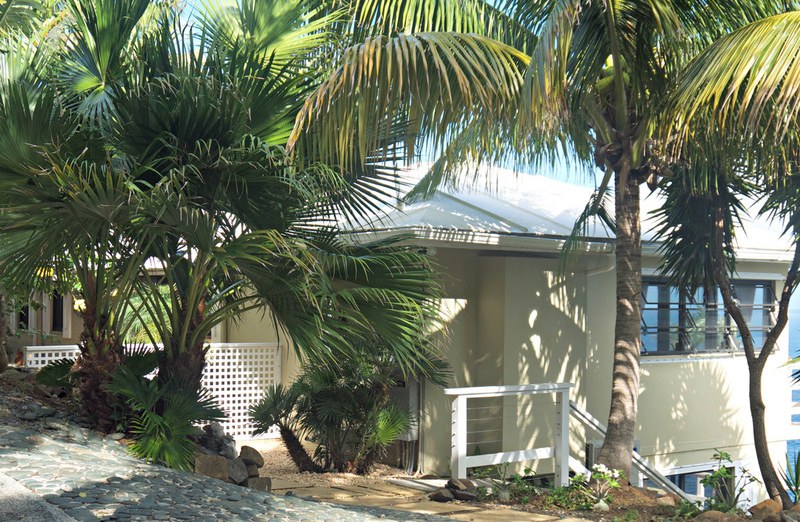 Magens Bay, Platform Beach, Picara Point, and the Mahogany Run golf course are all just minutes from Ocean Haven. 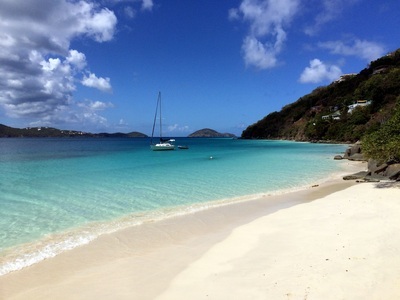 Magens Bay is a tranquil, mile-long stretch of golden sand perfect for swimming. Ocean Haven is located just over the ridge to the right. 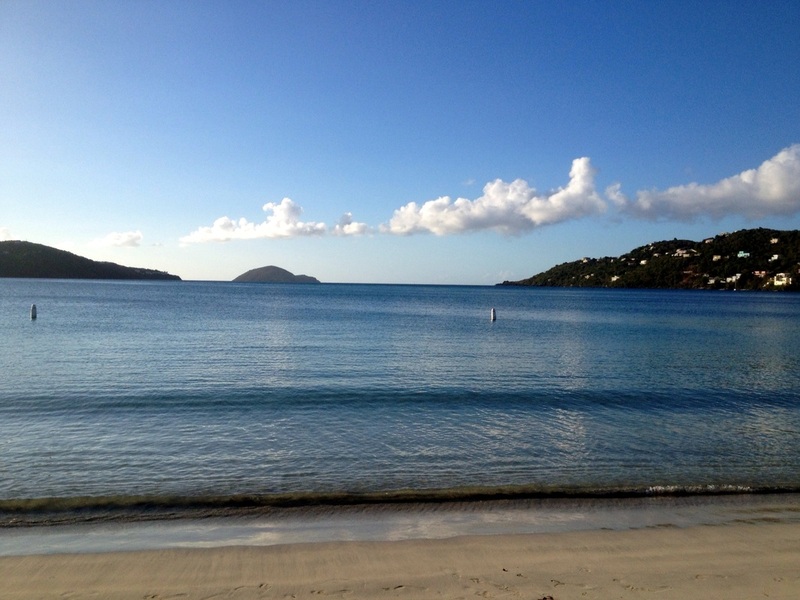 By the time the sun begins to set, Magens Bay is all yours. Enjoy the solitude of Platform Beach, just a short stroll from the villa. 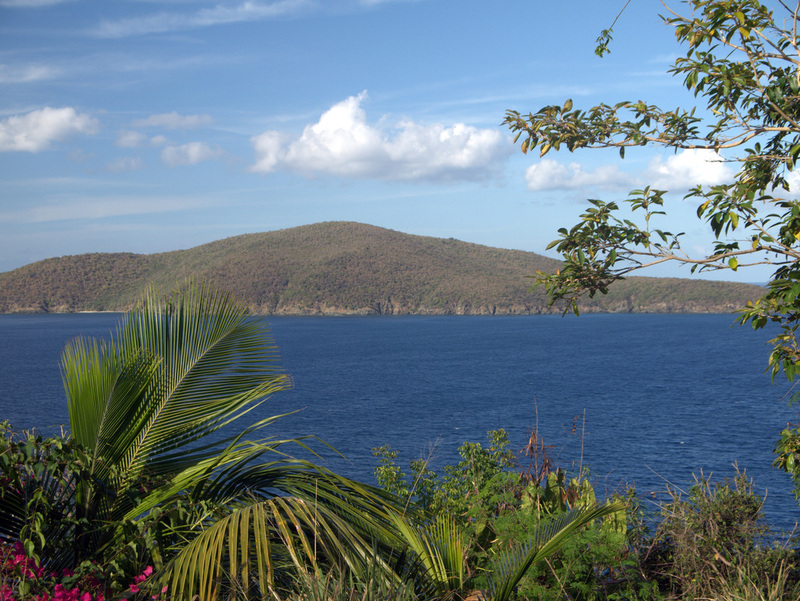 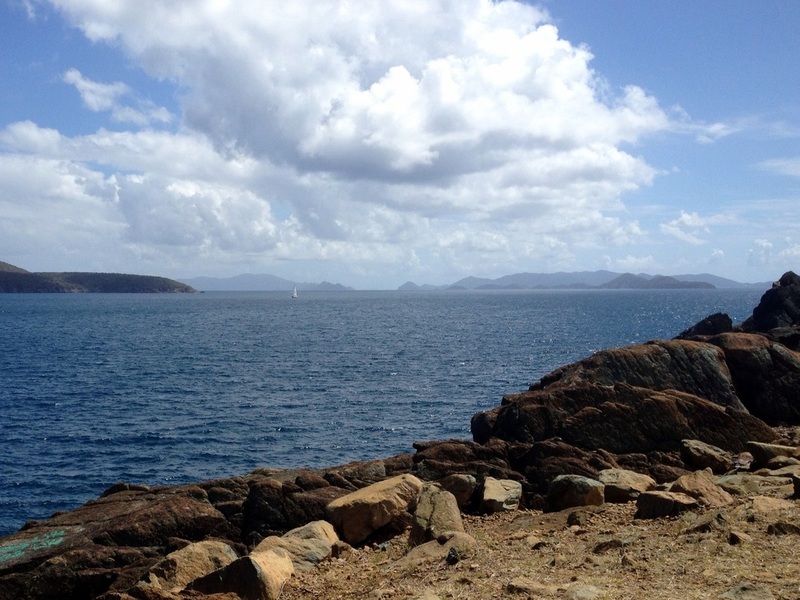 A view of Magens Bay from Picara Point, a 15-minute walk from Ocean Haven. 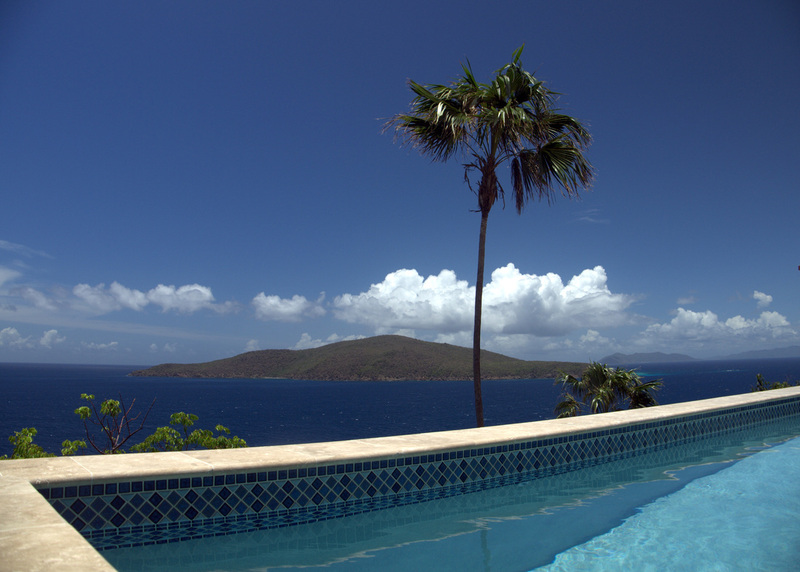 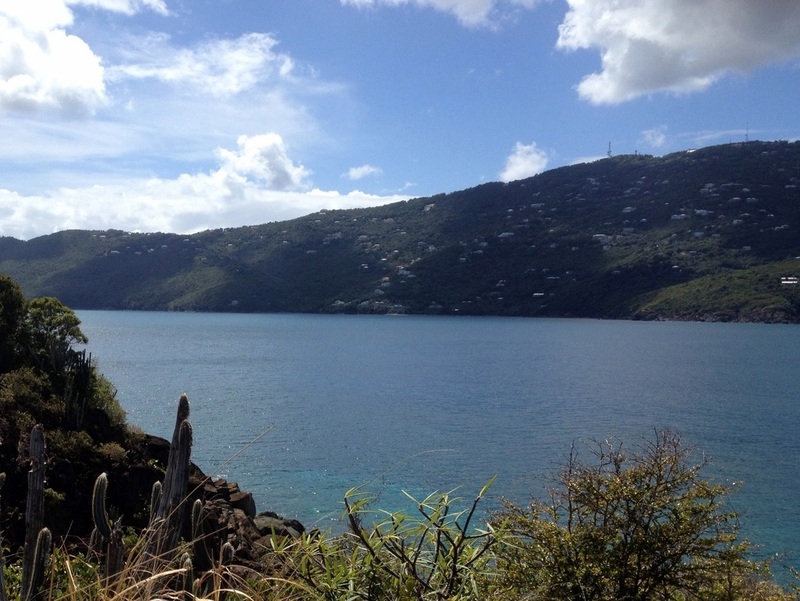 From Picara Point, enjoy sweeping views of St. Thomas, Great Hans Lollik, and the British Virgin Islands. 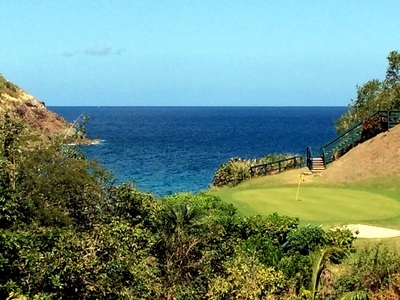 Drink in views of the Atlantic Ocean while enjoying a round of golf at Mahogany Run.